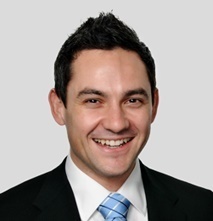 Jason prides himself on helping his clients to maximise their home’s sale value. He does this by applying his knowledge as an award-winning real estate agent, his unique skill-set as a qualified interior designer and his experience in online marketing, property negotiation and property investment. I am proud to own and run Ray White Beach Haven. We are the market leader in the area with over 30 percent market share and growing thanks to a dedicated team of skilled and ethical salespeople. I pride myself on being a professional negotiator and it is this skill, along with my marketing capabilities that brings clients back again and again. You can rest assured that your property sale will be handled with the utmost respect and professionalism. The down-trodden duo of Beach Haven and Birkdale are ﬁnally having their day in the sun – the only strange thing is that it’s taken so long for this area to achieve social acceptability. True, there are large areas of state housing, but it all appears tidy and well- maintained. A large area of convoluted coastline, bordering the Oruamo and Kaipatiki creeks, means lots of water – with views across to Greenhithe and Hobsonville. There are mutterings from locals that their area hasn’t had its fair share of council spending on amenities. In the true Kiwi DIY tradition, local identity Frank Larking took matters into his own hands. He was concerned about how much of the beach’s sand had been eroded away, and so for 10 years he rowed back and forth to Hobsonville, gathering thousands of metres of sand to build up the beach himself for everyone’s beneﬁt. Singles, couples and ﬁrst-home buyers are among the broad mix of people here, buying older houses and beginning the renovation treadmill that is Auckland’s rite-of-passage into home ownership. The investment necessary is relatively modest for an area that’s near to the city and – thanks to the Kaipatiki Bridge – to Glenﬁeld and Albany. There’s a steady inﬂux of buyers and families from other parts of the North Shore, especially the East Coast Bays. On the back of persuasive marketing and good prices, they’re trading morning sunrises over Rangitoto Island for homes with land and native bush around them. Interest from British buyers is steady because of the appeal of the bush-clad coastline. Grey South Yorkshire soon becomes a distant memory in such an exotic location. The baches which had been found here and there in recent years are almost all gone now, some having been remodeled beyond recognition, some having been removed to make way for something completely new. Beach Haven is much newer than Birkenhead and Northcote, with their 19th-century villas, and owes its development to the opening of the harbour bridge in 1959. This is 1960s and 1970s, Hardiplank cladding and aluminium joinery country. That was Beach Haven / Birkdale in brief.